The Casting Director for Big Brother 14 has gone on the record stating that all semi-finalists for the upcoming season have been notified.The news surfaced on June 1, 2012 via @Kassting on Twitter. 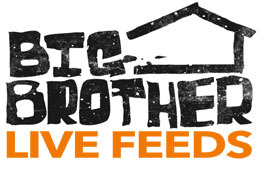 The news confirmed that all semi-finalists for the 2012 installment of Big Brother have been contacted. All #BB14 semi finalists have been contacted. Finalist decisions have not been made yet. Thousands apply, only a few make it. PLEASE DON’T GIVE UP, your season could be soon! With Big Brother 14 starting Thursday, July 12th on CBS, we can expect tidbits of news about this season to be announced in the coming weeks. Stay tuned to WeLoveBigBrother.com and be sure to follow @wlbb on Twitter.